The 2014 PokerStars and Monte-Carlo® Casino European Poker Tour Grand Final €100,000 Super High Roller kicked off the final stop of Season 10 in grand fashion, and now after three days of intense play, a winner has emerged in Monaco. Daniel Colman, a 23-year-old from the United States who plays online under the name “mrGR33N13,” topped a field of 62 entries (50 unique, 12 reentries) to win the €1,539,300 first-place prize. Colman was the only player in the tournament to fire three bullets, mean he invested €300,000 into the event. Leading up to the final table of eight, all of who were in the money and guaranteed a slice of the €6,015,240 prize pool, play was dominated by the group of Macau businessmen. On the flipside, Igor Kurganov snuck onto the final table as the extreme stack. Amazingly, Kurganov battled back and found himself with the chip lead after 68 hands. Speaking of Hand #68, that is when Olivier Busquet was crippled after running tens into the pocket rockets of Paul Phua. The World Poker Tour Alpha8 commentator was left with just two big blinds, and they went in the next hand. He managed to make a straight, but it was no good as Dan Cates wound up with a full house. 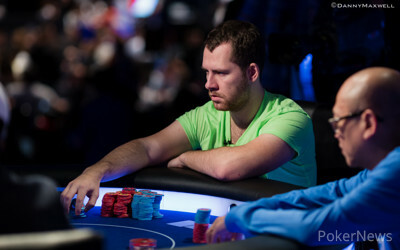 Busquet took home €241,000 for his eighth-place finish. In Level 19 (30,000/60,000/10,000), on Hand #72 of the final table, Colman, who relocated to Brazil after Black Friday in order to continue playing online poker, made it 125,000 from the button with the , and Ole Schemion, who is fresh off his EPT10 Sanremo High Roller win for €265,000, three-bet to 335,000 from the big blind with the . Colman shoved all in and Schemion made the call for his tournament life. The on the flop gave Colman a set, but Schemion an open-ended straight draw. The looked like something, but changed nothing. Schemion still needed an eight or king, but wouldn't get either as the blanked on the river. 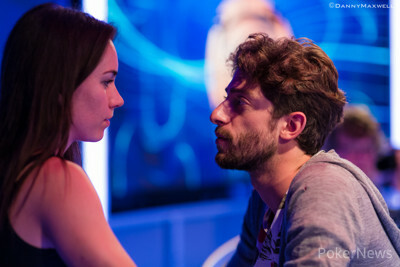 Schemion, who qualified for the tournament by winning a €10,000 satellite, was eliminated in seventh place for €307,000. He’ll earn even more points on the EPT10 Player of the Year leaderboard, which he is most assuredly will win. It took awhile for the next elimination to occur. In fact, it didn’t happen until Hand #114 of the tournament when a short-stacked Phua got his chips in holding the against the of Colman. The board ran out and Phua was out in sixth place. From there, the start-of-the-day chip leader, Rono Lo was felled in fifth place, and he was followed out the door by Richard Yong, who picked the worst possible spot to shove. That left €241,000 for the winner and €115,400 for the runner up. One might think things would be over relatively quick after that, but it took another 46 hands before the next player would fall. It happened on Hand #179 when Colman moved all in from the small blind and Kurganov snap-called off for 1.715 million from the big blind. The blinds were quite big at this point, so it was no surprise to see them get it in. Kurganov got it in good and had a 58% chance of doubling on the hand, and that jumped to a 3-1 lead when the flop came down . The turn have Colman some more outs, and much to Kurganov's dismay the river was one of them. Kurganov walked away with €1,128,300, which was a nice score considering he was the extreme short stack at the start of the day. Cates began heads-up play with a sizable chip lead, but Colman managed to wrestle it away through patient play. It took 23 heads-up hands, but eventually Colman, who is a WCOOP Heads-Up champion, was able to dispatch his opponent. To check out the final hand, click here. 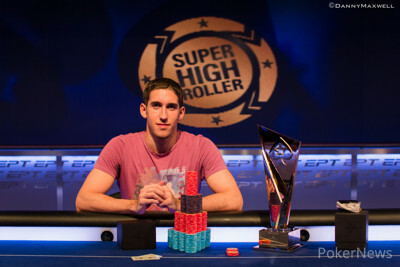 Congratulations to Daniel Colman, the 2014 PokerStars and Monte-Carlo® Casino European Poker Tour Grand Final €100,000 Super High Roller champion. In addition to his cash prize, Colman also receives a stunning bracelet worth €10,000 from Shamballa Jewels, Official Braclet Sponsor of EPT Season 10 Super High Roller events. Hand #202: Dan Cates moved all in with the and Daniel Colman, who looked down at the , asked for a count. Eventually Colman called the 11-big-blind shove and seemed pleased to be a 58% favorite. The flop paired Colman's a six, but Cates was still drawing to the same outs. the turn wasn't one of them, and he had six cards he could catch on the river to stay alive. The dealer burned one final time and put out the , the last card of the 2014 PokerStars and Monte-Carlo® Casino European Poker Tour Grand Final €100,000 Super High Roller. Thanks to the deal, Cates will take home €1,283,400 for his runner-up finish. Hand #198: With the blinds now up to 100,000/200,000 with 30,000 ante, Cates had on the button and limped in. Colman checked his . on the flop and Colman checked his option. Cates bet 200,000 into 460,000 and Colman folded. Hand #199: Colman had a real hand with on the button and made it 400,000. Cates had a real hand as well with and called. Two big hands heads up and on the flop. The flop missed both and they both checked. The on the turn was no blank though, moving Cates into the lead. Cates bet out 400,000 into 860,000 and Colman made the call. The on the river was a complete blank and Cates bet 1,275,000 into 1,660,000. Colman thought about it, leaned back in his chair and contemplated calling. He didn't in the end, pot for Cates. Hand #200: The 200th hand from the Super High Roller saw Cates open the button with and Colman in the big blind with made the call. on the flop and Colman checked his second pair. Cates bet 200,000 with top paur, Colman called and the dealer brought out a turn: . Colman checked again and Cates bet 650,000 into 860,000 this time, Colman called. 2,160,000 in the pot and the fell on the river. Both players checked and Cates wasn't happy with the outcome. Colman won with the straight and was back up to over 11 million, Cates had 4,455,000 after the hand. Hand #201: Colman had on the button and opened to 400,000. Cates had and made the call from the big blind. on the flop and Cates checked. Colman bet out 400,000 and Cates raised to 1,000. Yeah, he said he wanted to raise to a thousand but meant a million. And it was 1,000,000 he raised to eventually. Colman with the over pair informed how much Cates had behind. When he found out Cates had a little over 3 million still behind, he called after more than a minute of thinking. The fell on the turn and with 2,860,000 in the pot Cates checked. Colman bet out a mere 750,000. Cates made the call and they were of to the river. on the river and Cates made his pair, a pair that was no good. The 4,360,000 pot wasn't going to get bigger as both players checked after some hefty thinking. Cates lost the pot, Colman now really took the lead in the heads up. Hand #186: Dan Cates limped with the and Daniel Colman checked his . The flop saw Colman check-fold to a bet of 600,000. Hand #187: Daniel Colman raised to 375,000 with the and Dan Cates called with the . Cates checked, Colman bet 375,000 on the flop and Cates folded. Hand #188: Dan Cates opened for 320,000 with the and Daniel Colman folded. Hand #189: Daniel Colman raised to 350,000 with the and Dan Cates called with his . The flop went check-check, and then Cates took down the pot with a bet of 500,000 on the turn. Hand #190: Dan Cates raised to 320,000 with the and Daniel Colman defended with the . The flop brought a check from Colman and a bet of 320,000 from Cates. Colman folded. Hand #191: Dan Cates got a walk. Hand #192: Dan Cates raised to 320,000 with the and Daniel Colman called with the . The flop missed both, so it wasn't surprising to see it go check-check, as it did on the turn and river. Colman took it down with a rivered pair. Hand #193: Dan Cates got another walk. Hand #194: Dan Cates opened for 320,000 with the and Daniel Colman folded the . Hand #195: The action in this hand escaped us. It appeared to be a quick walk for Dan Cates. Hand #196: Dan Cates opened for 320,000 with the and Daniel Colman folded the . Hand #197: Daniel Colman raised to 320,000 with the and Dan Cates called with the . Cates check-called a bet of 350,000, the dealer burned and turned the , and Cates checked for a second time. Colman bet 1.05 million, Cates called, and the completed the board on the river. It went check-check and Colman won a healthy pot. Hand #183: Cates opened the button for 320,000 with . Colman in the big blind had and made it 960,000. Cates instantly folded and they were on to the next hand. The two get closer together with Cates having 8,270,000 and Colman 7,230,000. Hand #184: Colman opened the button for 375,000 with .Cates made the call with the dominated . on the flop and Cates checked to Colman. Colman checked behind and the fell on the turn. Cates with the flush draw bet out 525,000 into 790,000. Colman made the call and they saw a river. missed both and Colman had the best hand. Both checked and Colman took it down. Colman now had the chip lead after this hand, though it was close. Hand #185: Cates opened the button and Colman made the call. Both players checked and the fell on the turn. Colman bet 480,000 and Cates made the call. on the river and Colman bet out again. Cates made the call but couldn't beat Colman's with his . A bit of entertainment during the heads up battle- in this edition of WAG Diaries online reg Calvin Anderson (cal42688) is put into the tank as he ponders just how well he knows his girlfriend Kami. Hand #180: In the first hand of heads-up play, Daniel Colman raised to 375,000 with the and Dan Cates called with the the . The went check-check, the peeled off on the turn, and Cates bet 525,000. Colman folded. Hand #181: Dan Cates limped with the and Daniel Colman checked his option with the . 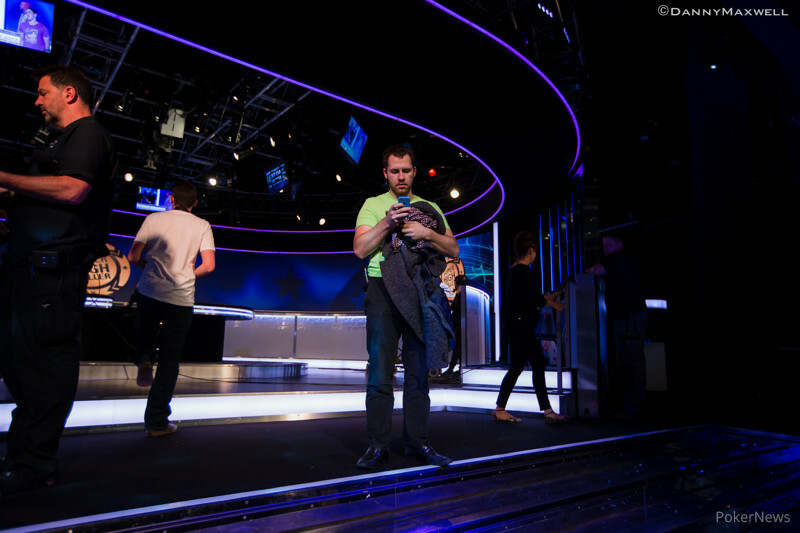 The flop gave Colman top pair, but he checked to Cates, who bet 160,000. Colman made the call and then checked the turn. Cates checked behind and the completed the board on the river. The action repeated itself and Colman took down the pot. Hand #182: Daniel Colman raised to 375,000 with the and Dan Cates three-bet to 1.05 million with the . Colman made the call, the flop fell . Cates checked bottom pair, and Colman bet a million with his two pair. Cates gave it some thought but ultimately laid down his hand. Hand #179: Daniel COlman moved all in from the small blind and Igor Kurganov snap-called off for 1.715 million from the big blind. Kurganov got it in good and had a 58% chance of doubling on the hand, and that jumped to a 3-1 lead when the flop came down . The turn have Colman some more outs, and much to Kurganov's dismay the river was one of them. Thanks to the deal, Kurganov, who was all smiles as he made his way over to Liv Boeree on the rail, walked away with €1,128,300. Not too shabby considering he was the extreme short stack at the start of the day. Kurganov Grabs the Chip Lead! Who Will Take the $1.8 Million First Place Prize?